Ally, advocate, equity, safe: these are all buzzwords that librarians hear more about each day, and are terms we think about in relation to the services we provide for children and teens. How do we make our libraries more equitable? How can we be better allies? How do we offer safer and more inclusive spaces? By teaching, talking, sharing, and showing. To borrow a quote from a recent opinion piece on SLJ.com entitled “Libraries Are Not Neutral” by Cory Eckert, “Libraries exist for the 99 percent,” which is to say that libraries exist for those who need us. 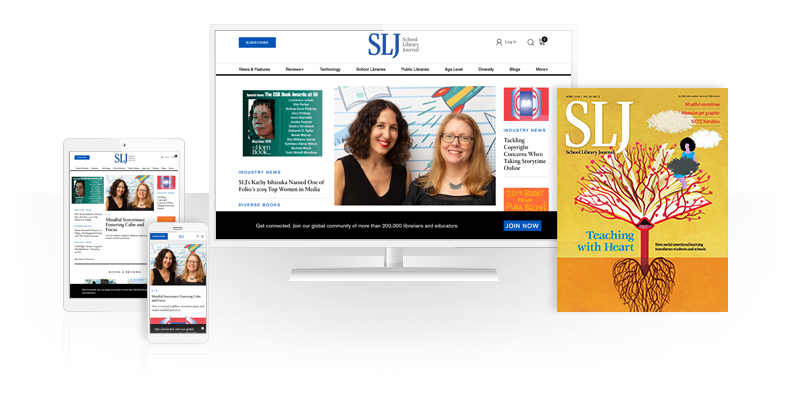 Many librarians and educators are looking to a multitude of websites, Twitter feeds, apps, and guides to help students form communities, reinforce media evaluation skills, and help youth make informed decisions in their own lives. Read on for a variety of sources and tools for starting and extending conversations on social justice and equity. Anti-Bias Lesson Plans carrotsareorange.com/anti-bias-activity-preschoolers/ PreS-Gr 2 –Teaching cultural sensitivity and antibias to young children is no small feat. “Carrots Are Orange,” a blog with a Montessori bent, provides excellent program ideas to impart basic awareness and knowledge of tolerance, fairness, bias, and cultural diversity. Put-Ups—Teaching Tolerance Lesson Plans tolerance.org/activity/put-ups Gr 3-5 –Everyone knows what a “put-down” is, but what about a “put-up”? It’s an affirmative phrase, a statement recognizing someone else’s good deed, or a compliment. Use this lesson plan to explore how using put-ups on a daily basis can build mutual respect and tolerance and encourage positivity. 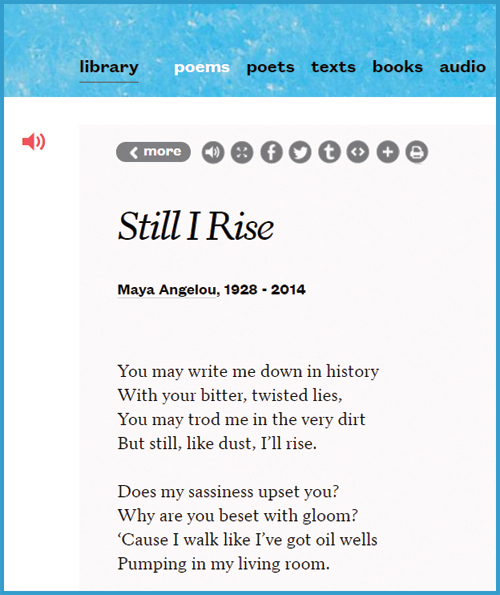 Poets.org—Social Justice Poems for Kids poets.org/poetsorg/text/social-justice-poems-kids K Up –This area of Poets.org has poems ranging from Lazarus’s “The New Colossus” to Reuben Jackson’s “For Trayvon Martin,” along with a “teach this poem” option available for most of the works. Readers are sent a weekly poem along with accompanying interdisciplinary resources that provide context and classroom activities. ADL—Current Events Classroom http://ow.ly/FFzT30aBdWS K Up –The Anti-Defamation League offers 88 quality, comprehensive lesson plans for elementary, middle, and high schoolers. Of particular interest and relevance to librarians: lesson plans on spotting fake news; outsmarting propaganda; bias, bullying, and bad behavior; cyberbullying; and microaggressions. 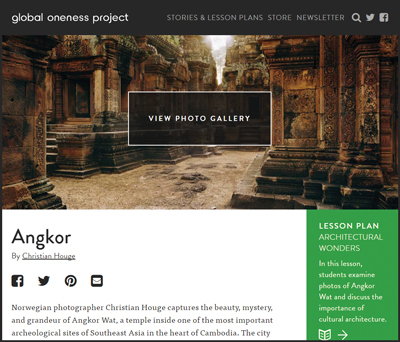 Global Oneness Project globalonenessproject.org Gr 9 Up –Founded in 2006, this project “offers free multicultural stories and accompanying lesson plans for high school and college classrooms.” With topics such as refugees, vanishing cultures, climate change, and more, these high-quality films and curriculum supports will benefit students and teachers alike. Pushing the Edge: Social Justice Resources Collection pushingtheedge.org/social-justice-resources This collection of podcast episodes, blog posts, and resources is a great place to jump-start your social justice knowledge and teaching. Australian educator Greg Curran curates the site, whose topics range from safe schools and allyship to mind-sets and privilege. 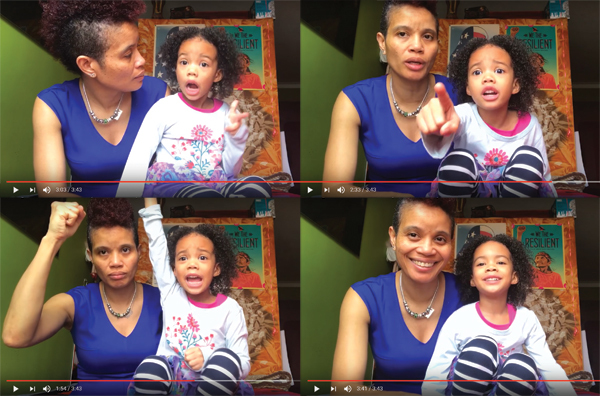 Livingroom Protest—YouTube Channel http://ow.ly/HXUd30aFpca PreS-K –Folks often say that young children cannot understand the issues of the world, but Staceyann Chin, a political activist in Brooklyn, along with her preschool-age daughter Zuri, offers a shining example of how we can talk with our children about politics. The duo have spoken about tough topics such as the Muslim ban, privacy, and “Girls Can Do Anything.” A librarian favorite will surely be “We Do Not Like Wrong Information,” a thoughtful preschool-level explanation of misinformation, propaganda, and hoaxes. Empowering children to stand up for what’s right is paramount, and Livingroom Protest is a great place to start. Crowd Voice crowdvoice.org Gr 9 Up –A site that pulls material from across the web, curates it by topic, and provides infographics, media feeds, and time lines, all of which are sourced. Topics range from incarceration in the United States to the war in Syria. The site can be used without signing in but cannot be personalized. This would be of use to students looking for solid sources and information on current events. Do Something dosomething.org Gr 6 Up –The quintessential resource for moving beyond hashtag activism, Do Something allows users to seek activities to participate in simply by choosing a “cause,” “time,” and “type” from a drop-down menu. Users will then find ideas for taking a stand, making something, or hosting an event. The activities are achievable for students and are a great starting point for those who are looking to get involved with social justice activism. 350.org Gr 6 Up –Started in 2008, this is a “global, grassroots climate movement that [holds] our leaders accountable to the realities of science and the principles of justice.” Sections on the site include “Resources” (tools for organizers and trainers such as workshop activities, protest materials, tips for starting a branch, and several videos with 350’s message), and “Get Involved” (highlighting current campaigns, group locations, and petition instructions). Users can also follow the organization on Twitter @350. This truly global campaign is action oriented and supplies many points of entry for environmentalists of any age. Black Lives Matter blacklivesmatter.com You cannot talk about online resources for social movements and overlook the importance of Black Lives Matter (BLM). Started by Alicia Garza, Opal Tometi, and Patrisse Cullors, BLM is much more than a hashtag; it’s an intersectional movement with black lives at its core. #BlackLivesMatter is an online forum intended to build connections between black people and BLM allies and fight antiblack racism. The BLM movement aims to spark dialogue and facilitate the types of connections necessary to encourage social action and engagement. Locate chapters, find and post events, learn about the guiding principles of the organization, and explore episodes of The Movement, a web video series “dedicated to the individuals who fight to reclaim and recover marginalized communies across America” all through this resource. ACLU’s LGBT Youth & School Resources and Links aclu.org/library-lgbt-youth-schools-resources-and-links For librarians looking for resources on making the library an equitable, safe space for LGBT students. Topics include starting a gay-straight alliance, dealing with web-filtering software that blocks LGBT websites, resources for transgender and non–gender conforming students, and primers (for educators and administrators) that focus on youth and sexual orientation. It’s truly one of the most comprehensive resource guides available. Meetup.com–Movements iOS and Google Play; Free Gr 9 Up –Use this site (or app) to find like-minded people in your community working around issues that are important to you. Users can join existing “meetups,” which range from book groups to social activism organizations, or create their own. We advise that an adult take on the planning of “meetups” because any Meetup.com user can access a group’s information. Meetup groups can also be set to have new members fill out a brief survey before being approved to join. StayWoke staywoke.org Gr 9 Up –“Learn-Build-Resist” is Stay Woke’s tagline, which perfectly encapsulates what they do. For a few hours a week, interested individuals can join a working group to effect change in policy, data, elections, and design. Stay Woke is a citizen-driven effort to organize and engage Americans to advance equity and justice. Users must fill out a simple Google form with their interests and zip code. 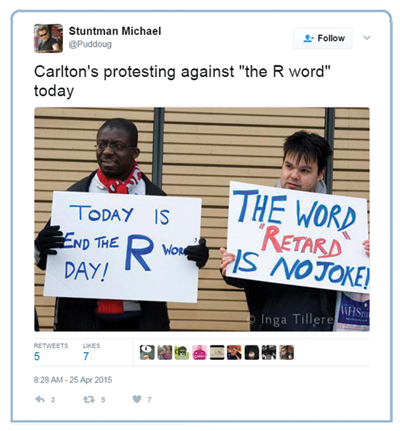 “These 10 Twitter Hashtags Changed the Way We Talk About Social Issues” http://ow.ly/eIzy30aAtjr Though it’s a year old, this Washington Post article is still relevant. It offers a way to enter into discussions regarding social movements that do not always get their due in the press. “12 Words You Need To Ban from Your Vocabulary To Be a Better Ally” http://ow.ly/KeHs30aAtDF These 12 words are still being used in print, digitally, and in real life, but they shouldn’t be. Mashable makes the case that these seemingly innocuous phrases actually serve to ridicule, oppress, and bully. One of the most surprising for students might be the word gyp, which comes from gypped, in turn derived from gypsy, people who are often characterized unfairly as swindlers. Removing these microaggressions from our vocabularies is one way to become better allies and advocates. This article is also a great jumping-off point to talk with students about the power of language. Stacy Dillon is the lower school librarian at LREI in Manhattan; Amy Laughlin is the youth services outreach librarian at the Ferguson Library (CT).